When you’ve got a camera, and you’ve got action, but you’re missing the lights, you’re at an extreme disadvantage as a videographer. Or a photographer, for that matter. Don’t worry. I’ve been there. In fact, until yesterday, I was just like you. Not anymore. Now I have lights! Check out this video to see how I made a DIY lighting kit on a budget. As you can see, it doesn’t take much to improve the lighting so you can shoot great-looking video. If, like me, you’re on a mission to make professional videos in an apartment or at home, this simple project will give your media game a boost. Yep, with a DIY video lighting set up, you can take your photography or videography to the next level, even if you’re just seeking the best lighting for iphone photography. Hey professional videographers out there! What else should I add to my DIY photo lighting set up? It’s incredible the way lighting can change outdoor spaces. As is the case with indoor spaces, spending comparatively little on lighting can produce dramatic results. A DIY outdoor lighting project might be just the thing to make you fall in love with your home all over again. But before you begin an outdoor lighting project, it’s important to think about your options. Here are 10 tips for 10 approaches to outdoor lighting. A while back I posted an entry called “What Is a Light Box?” In it, I explained how a light box backlights a photo or other visual image, and I showed several examples of DIY light boxes I found on the Web. The secret truth is that by explaining to you what a light box is, I was really teaching myself so that I could build one. Well, now I have built one! And it was easy, fun, and made a pretty excellent gift. Here’s a video I made documenting the process. I live in an apartment, so I face certain constraints when it comes to upgrading my lighting. I can’t hard wire anything. I can’t install any power outlets. But, thanks to this LED tape/rope hybrid, I can dramatically improve the look and feel of my kitchen with over cabinet lighting. And you can, too. 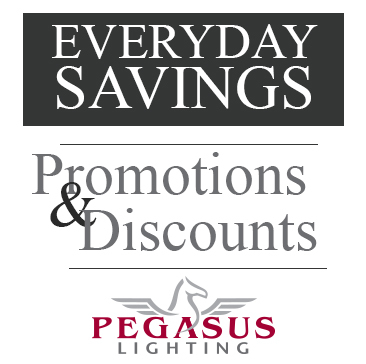 Watch Tom from Pegasus Lighting drastically improve his kitchen lighting in about one minute. He installed an LED tape/rope hybrid as over cabinet lighting in his apartment rental and plugged it in to an available electrical outlet. Not many lighting projects are simpler than this. Wouldn’t it be cool if you could make a light bulb light up without putting it into a socket? Turns out, there’s more than one way to power a light bulb. If you’re in the mood for a quick, fun experiment, I’ve found a way to power any regular old light bulb with a battery!